Amino Acids and your body - A Nutrishop Breakdown Nutrishop Tampa is a great place to get supplements and vitamins, order by telephone 813-991-9999 today! In this in depth article, Nutrishop Tampa will discuss the basics of Amino Acids, and give in depth information on a few of our favorite Amino Acids. So what are Amino Acids? Amino acids are the building blocks of proteins and also help with your body’s metabolism. Without all 20 essential amino acids, your body will not be able to effectively utilize its metabolic functions nor will it be able to maintain a muscluar physique and protein delivery system. Which ones are important? And how can I get my daily needs met? Well as stated above, all 20 are needed. Your body produces some and the rest must be received through food and supplementation. Many of our products contain amino acids, and below you can read basic information on some of the amino acids we carry in our supplements and proteins. You can get your daily needs through products like our Pre-Workout drinks and protein drinks. 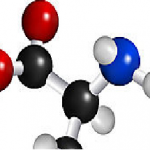 Arginine amino acid – Basically a non essential amino acid, that is commonplace in protamines and histones. These are proteins that are associated with nucleic acids. 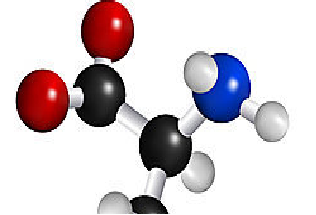 Lysine amino acid- This is the most basic building block of proteins. It is important that you receive your basic needs in lysine because defecinceis cause the following side effects : anemia, enzyme disorders, lack of energy, hair loss, bloodshot eyes, weight loss and retarded growth as well as reproductive problems, poor appetite and poor concentration! Lysine is generally used in the workout industry to repair muscles and maintain healthy hormone levels, yes including testosterone.